The government has turned to sharpshooter Nawab Shafat Ali Khan ahead of World Elephant Day to hunt the animal who crushed four victims in Bihar in March before crossing into neighbouring Jharkhand and killing 11 more. India's top hunter today led a shoot-to-kill pursuit of an elephant whose rampage through villages has left 15 people dead. 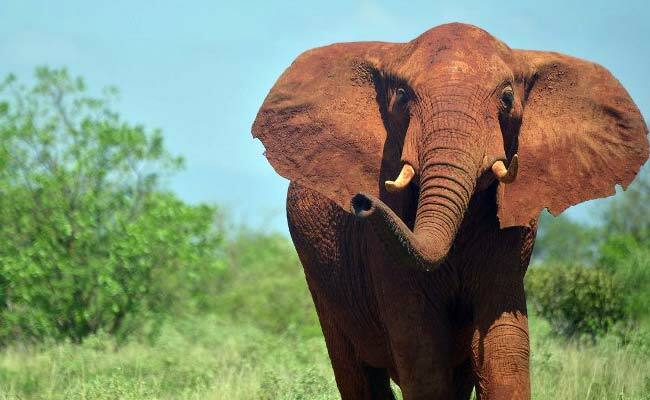 The government has turned to sharpshooter Nawab Shafat Ali Khan ahead of World Elephant Day on Saturday to hunt the animal who crushed four victims in Bihar in March before crossing into neighbouring Jharkhand and killing 11 more. Mr Khan has been flown in from Hyderabad. Jharkhand's chief forest and wildlife conservator LR Singh said the decision to kill the animal was made after a team failed to tranquilise and capture the elephant during a week-long mission. He blamed the rocky terrain and thick vegetation in Sahibganj district. "The visibility is only 15 feet and it's become next to impossible to tranquilise the animal," Mr Singh told news agency AFP. "It has already killed so many people. There have been two deaths just in the last four days. Despite all the efforts by the forest department and our teams working 24-7, we had no option but to order the shooting of the animal," he added. The marauding elephant, believed to have lost its way after becoming separated from its herd, has strayed into villages in hillier parts of Sahibganj. The area is inhabited by the Paharia tribe, one of the poorest indigenous tribal communities in India. Of the 11 deaths in the state, nine of the victims were Paharias, Mr Singh said. "We expect him to get the animal anytime now -- today, tonight, tomorrow -- anytime" he said of the hunter brought in from Hyderabad. In 2014, Mr Khan was licensed by Uttar Pradesh to capture or kill a man-eating tiger that was believed to have killed eight people.